With jenbarronYOGA you will have the opportunity to experience self-love, acceptance and enhanced body image that will support you to feel integrated; and together we will build nurturing communities. jen has a particular passion for working with beginners and those who think YOGA is ‘not for me’ because in her experience, YOGA is for everyBODY! It is our belief that when you have a jenbarronYOGA experience you will feel a greater sense of integration and the more people that do so, the more nurturing and loving our communities and our world will become. Explore how you can connect with jenbarronYOGA and get in touch if you have any questions! YOGA is for everyBODY! Yin is a mindful form of YOGA designed for you to feel your asanas, flow with your breath and find your silence. Come and experience the bliss of SUP Yoga! jen will deliver personal sessions in person or via Skype. These sessions will be designed with your individual needs and goals in mind. Contact jen to book your session today. Workshops designed to take you deeper into your YOGA journey will be scheduled. They can also be requested if you have a group of people who are interested in coming together to explore a particular element of your YOGA journey. jen will deliver YOGA classes on a regular basis. 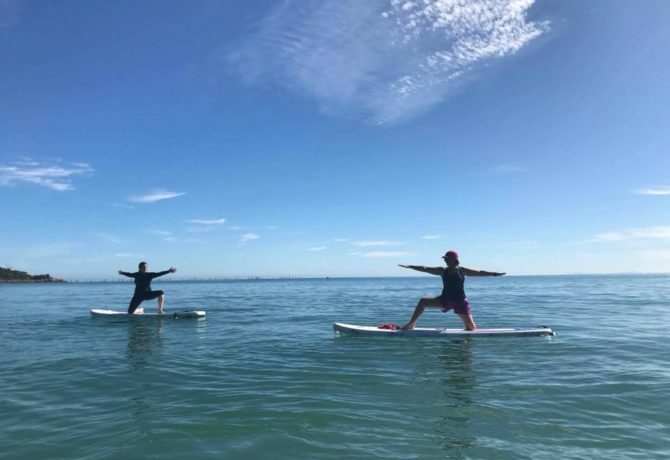 These classes will include Vinyasa, Yin, Restorative, YOGA for children and young people and of course SUP (Stand Up Paddle) Yoga. If you don’t see classes that work with your schedule then why not get a group together and make a request? We can come to your office, your school, your home or your local community hall. jenbarronYOGA can be part of your festival. Contact us to let us know if you would like to add a YOGA experience to your festival. Retreats are a great way to take time out from your schedule and immerse yourself in an experience to reboot, refresh or reinvigorate your wellness journey. Each retreat will have a theme and take you on a creative journey in terms of place, food, movement and mindfulness. If you are interested in adding a YOGA experience to an existing event then contact jenbarronYOGA. We can add that element of wellness and mindfulness to ensure the effectiveness of your event. Let your employees know your care about them! 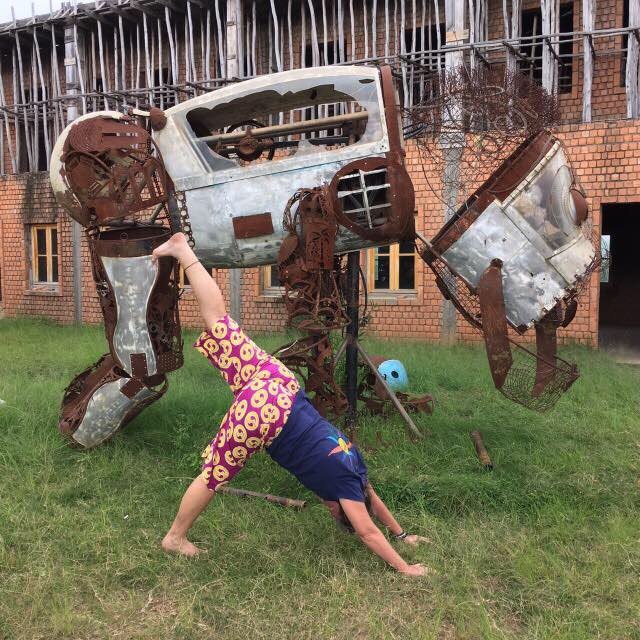 I grew up seeing YOGA on TV, it’s not very common back home in Rwanda. 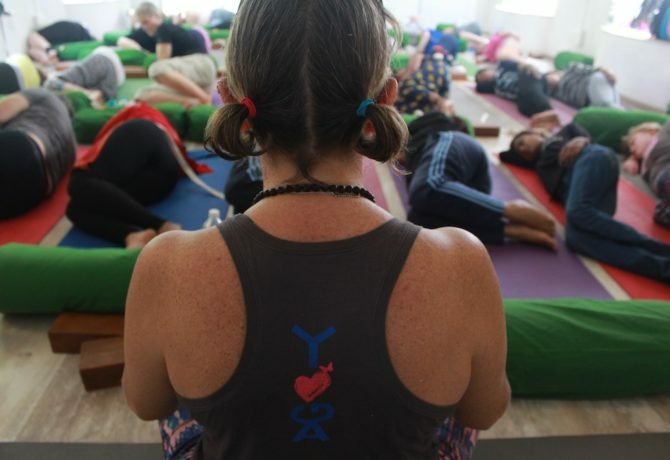 Jen’s YOGA has been the best of all at my time in India, it goes beyond physical activities to reflections and emotions. My favourite has been the Yin YOGA. Jen makes it more interesting and harmonize music with poems and historical wonders that made me enjoy to discover wellness, to discover self.